Large selection of units in a luxury complex with a private beach, swimming pools, hotel services and the possibility of renting your unit out. 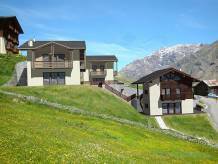 Four two-storey villas built in the ski resort of Livigno in 2012. Perfect for one or two families. Just 500m from the ski lifts. They can be finished according to the buyer's wishes. Close to ski resort, in a quiet location. Sauna, furnished. Beautiful view of the valley. Garage, cellar. Close to the ski resort, close to all amenities, fireplace, garage. In the proximity to all amenities. Beautiful view of mountains. Partly furnished, parking, cellar, lift. In the hearth of a beautiful alpine nature, balconies with a view of mountains. Completely furnished, fireplace, lift, garage. 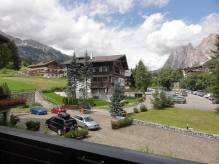 Close to excellent ski slopes, furnished, 2 balconies, beautiful view of the mountains. Lift, wellness, parking. Near the ski resort, beautiful view of the mountains. Garden, garage, cellar. Ideal opportunity for lovers of winter sports! Only few km from the beach. Terrace, fireplace. Beautiful view of the garden. Garden, swimming pool. Vineyard, olive trees. Near to all amenities, near to the sea. Renovated. Garage, large land plot. Farmhouse with a swimming pool in the heart of a nature reserve on the banks of a lake. Culturally significant property including a swimming pool and 5 ha of land offering sea views. The distance to the sea is only 8km. 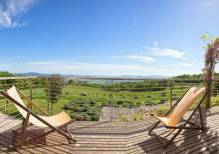 Beautiful farmhouse with a swimming pool and breathtaking views in a picturesque location. Renovated cottage with original equipment just 5km away from the sea. 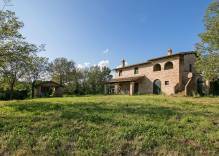 Renovated farmhouse, an example of typical Tuscan architecture with a swimming pool, 10km away from the sea. Near the sea, air condition, summer kitchen with a barbecue. A large garden, swimming pool. Close to all amenities. A large land plot. Possibility of tourist hiring - rental incoms! Near the historical centre, in the proximity to all facilities. Terrace. Beautiful landscaped garden.